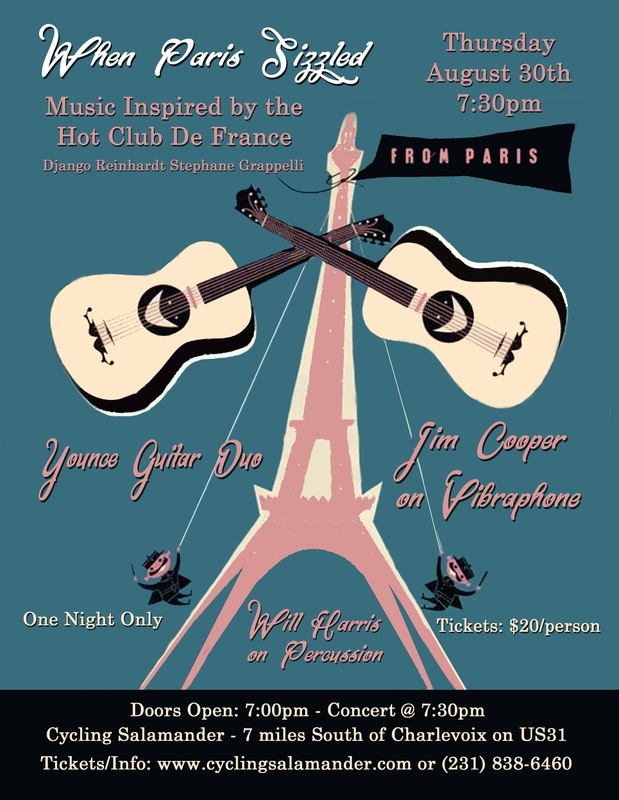 Younce Guitar Duo and vibraphonist Jim Cooper recreate the excitement of Paris in the 1930s and 40s. Join them for an electrifying evening of jazz as heard in, and inspired by, the Hot Club of Paris, founded by Stéphane Grappelli and Django Reinhardt in 1934. Joining them will be Will Harris on percussion. Come enjoy an evening at the Hot Club! Guests are welcome to bring their own beverages. Speaking French is optional! A unique father and son instrumental collaboration creating intricate, flowing & rhythmic sonic weavings. 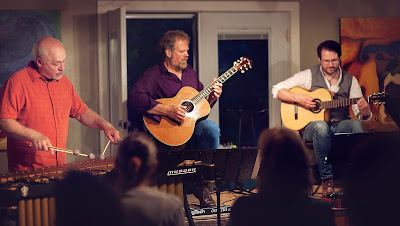 A Younce Guitar Duo performance takes listeners on a musical journey colored by influences of Jazz, Gypsy Guitar, Flamenco, Latin and other World Music. No stranger to the land of jazz, Jim has been playing the vibraphone for over 40 years, leading numerous groups and appearing as both soloist and sideman. Besides playing jazz dates of every kind around Chicago and beyond, hes had the fortune of gigging with such outstanding musicians as Art Van Damme, Larry Vuckovich, Frank Wess, Milt Hinton, Marcus Belgrave, Ira Sullivan, Buddy de Franco, and Jon Faddis with the Chicago Jazz Ensemble.